Over the weekend, I just took the Intro to iOS App Development with Swift from Udacity. (The course can be visit here: https://www.udacity.com/course/ud585) I took the course because I was interested in learning about the Swift programming language. I could not wait until the Swift programming books to come out. (Most come in 2015). The course is short enough that I think it will only take a weekend for those who already have experience in writing computer program, familiar with MVC and understand object oriented programming. I recommend to programmer who wants to get familiar with Xcode, building the app cycle, and want to build an iOS app but don’t know where to started. Then again, coding is easy, learning how to design and build a solution is a more important skill to have. Feel free to contact me if you are a startup and looking to build an iOS app for your VC pitch. This entry was posted in General on November 24, 2014 by Kennith. what if? 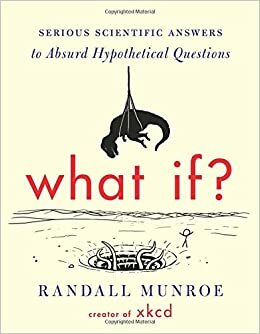 by Randall Munroe is about answering questions. The questions are ridiculous, but the answers were as scientific as it can be. As I was going through the questions I can’t help myself to ask, what the heck? Although I did not verify the answers the author provides, it includes a lot of math and science and reference from authoritative sources. I was fascinated by this book. I laughed out loud to some of the questions and I was as curious as the author on some of them. The scenarios given in this book possibly will not happen (and I hope not), but it reflects on one thing. Human likes to explore and a naturally curiosity specie..
It’s the curiosity in us that brings the world to become (improve or degrade) to what how it is now. It’s not long ago someone asks what if we can connect all the computers together? What if we let people pay online? What if we organize the world’s information? What if we build something that people don’t know that they want? What if we visit the moon? What if we land something on Mars? It all started by solving these absurd questions. We see these answers as a norm, but it was once seen as absurd. This entry was posted in Book and tagged what if, xkcd on November 14, 2014 by Kennith. 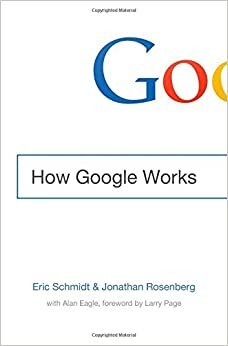 How Google Works was written by two long time Google employee, Eric Schmidt and Jonathan Rosenberg, about what they learn in their past experience with Google. In this book, they talked about their relationship with the founders, their management peers, and their smart creatives (regular employees). This book does not talk about “How Google Works” in technical area, but it give many example to explain How Google operate to make it works. The story behind Google leaving China is fascinating. The authors were not afraid to admit the mistakes they made, but rather embracing them. There are couple points that I like in the books. 1. Use data to make decision or to backup your claim. 2. We live in the Internet century. 3. Hire employees who like to learn. This is a management books. I like it how it explains all the technical terms in footnotes. If you are not in the computer industry, you will not be lost reading this book. I recommend this book to those who are entering into management or seeking ideas to improve their company or team. This entry was posted in Book and tagged google, management on November 6, 2014 by Kennith.